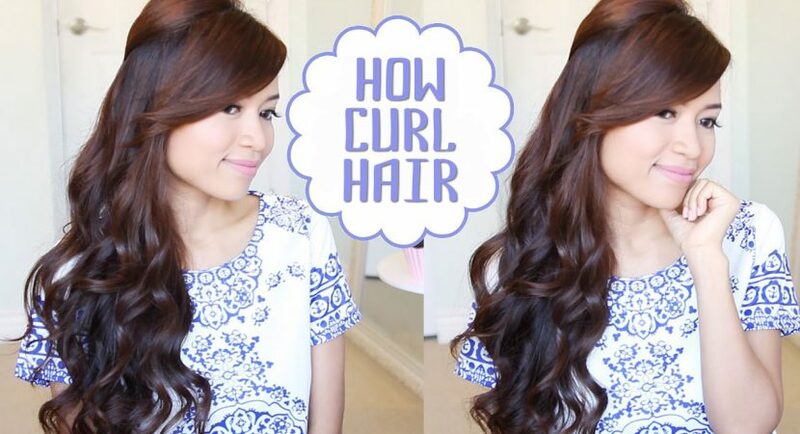 Curly or straight? It’s been always a dilemma of all women. Usually, girls with straight hair want natural curls. And the other way round: if you have curly hair, you would like to make it straight. However, today you’ll find out how to make your hair curly. It’s all about the haircut. If your hairdresser is a professional, you can stay calm. You know that you will leave the salon with the dream hairstyle. Remember to look closely at yourself in the mirror and tell the hairstylist about any objections. If you have curly hair, trimming it will be a bit different. Wet strands become heavier thus its curl loosens up. That’s why, you should trim it slightly instead of treating your hair to drastic cuts. Ask your hairdresser to take care of your hair ends. Curly hair is exceptionally prone to damage therefore ends should be protected even during cutting and styling. Moreover, also improper cutting may cause similar damage. Shampoo is equally important. Curly hair tends to overdry and electrify. Use proper cosmetics to prevent such surprises. Check if a given product contains overdrying substances. If you have found SLS, alcohol or colourific ingredients, change your care products immediately. Choose cosmetic oils, professional hair and scalp care cosmetics, masks and conditioners. Use moisturizing rinses e.g. flaxseed rinses or the ones with hyaluronic acid. Hair salons offer restoring and conditioning treatments. Do you know any hair care tricks? Use a paper towel instead of a material one. In this way your strands won’t get freezy or electrified. Besides, paper towel will absorb water better and more quickly. Then, apply your favourite styling product to damp hair. Comb your strands with your fingers and style as usual. Gels and mousses will come in useful while styling. The products will tame unruly strands, provide hair with shine and highlight the curl. While blow-drying, wind strands around your fingers or use a round brush. Finally, apply a cosmetic which gives moisture or gloss.